The Frost Bank Tower is a building located right downtown on Congress Street at 4th Street. Unlike many skyscrapers that are tall and have flat tops, this structure has and interesting point which shows off the Frost Bank’s logo, the highest logo in the city of Austin. If you know anything about Austin nowadays, it is that the city is booming. Buildings are being built left and right- literally. Before the skyscraper boom in Austin started in 2007, the Frost Bank tower was starting to be built on November 27, 2001. At the time, this was the tallest building constructed in the United States of America after the terrorist attacks on September 11th, 2001. 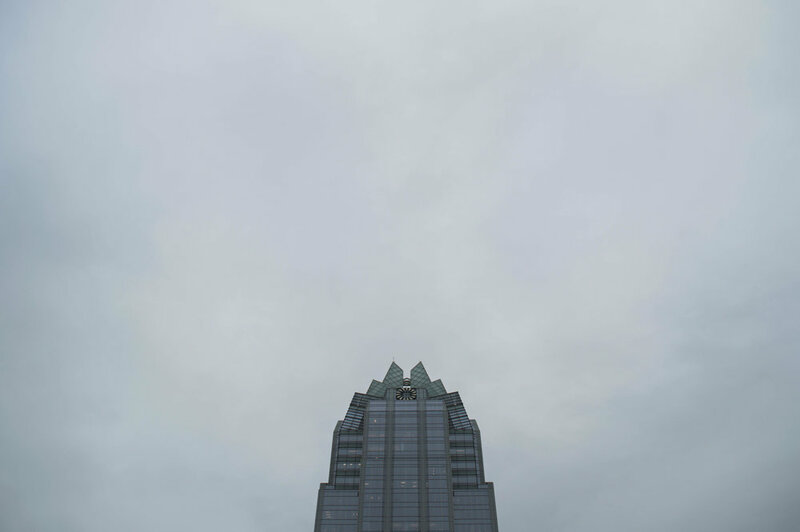 Upon completion of being built, the Frost Bank Tower, at 515 feet, was the tallest building in Austin. Currently, it is the third tallest building in Austin. People say that the tower looks like an owl because it was designed by people who graduated from Rice University whose mascot is an owl. How ironic? A Rice University owl in the middle of the city home to the Texas Longhorns. Well, not exactly. This is a myth. Here is why. The tower was designed by Duda/Paine Architects, LLP and HKS, Inc., and neither have Rice University connections. So maybe it does look like an owl, but not on design as many may think. Although there are many skyscrapers soon to tower over the Frost Bank Tower, this is the tower that was the first, true skyscraper of Austin. The cityscape will change, but the history and power of this building cannot and will not be forgotten.